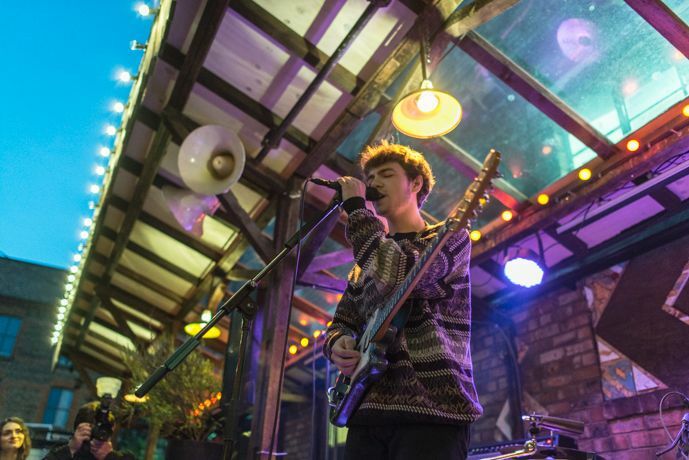 Ahead of their Sound City slot, Getintothis’ Will Neville is already looking ahead to another headline date for Liverpool teens the Night Cafe. The Night Café most recently headlined in the city only last December when they played the Buyers Club, with the band following up an appearance on the North Stage on the Sunday of Liverpool Sound City with a return visit to the Hardman Street venue. New songs like Together, with its chiming, cascading guitars, and twangier, near-funky Time are likely to have their hooky choruses taken to fans’ hearts alongside current audience favourites Addicted and Growing Up. Those not keeping up at the back may not realise that The Night Café is just the re-badged CANVAS, with singer and guitarist Sean Martin, Josh Higgins on guitar, bassist Arran O’Connell and drummer Dan Fell all still together since school days. The Night Cafe play the Buyers Club on July 1. Tickets are on sale priced £7 from here.